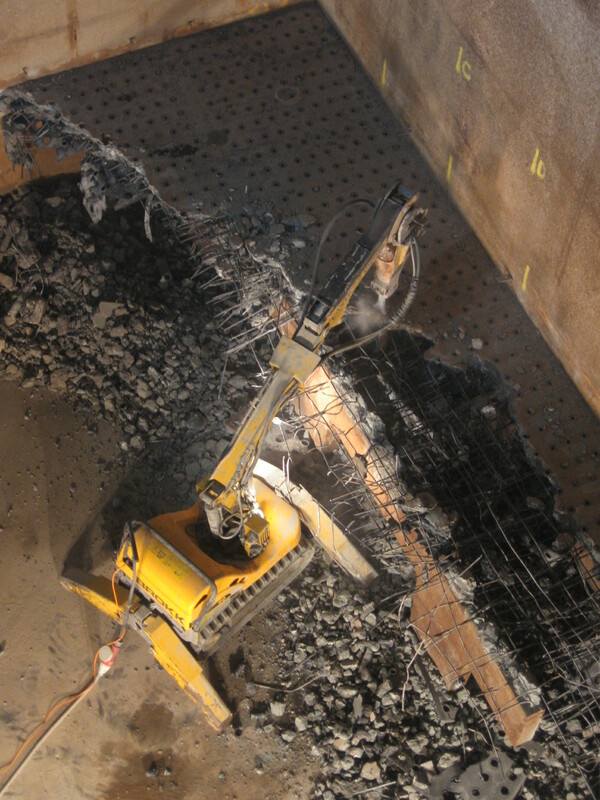 At Sandon Dock WwTW, Ram Services used Controlled Demolition techniques to remove a failed concrete floor slab from within one of the BAFF tanks. Ram Services Limited’s technical staff were tasked to undertake a series of regular structure condition surveys of eight BAFF cell floors to check for structural deterioration arising from possible overloading. 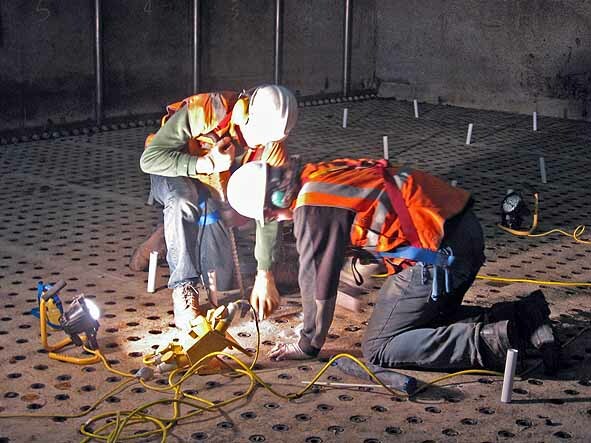 Following a survey the condition of one cell floor was considered such that replacement was necessary, and Ram Services Limited were tasked to develop a procedure to demolish and remove the floor prior to re-construction by others. 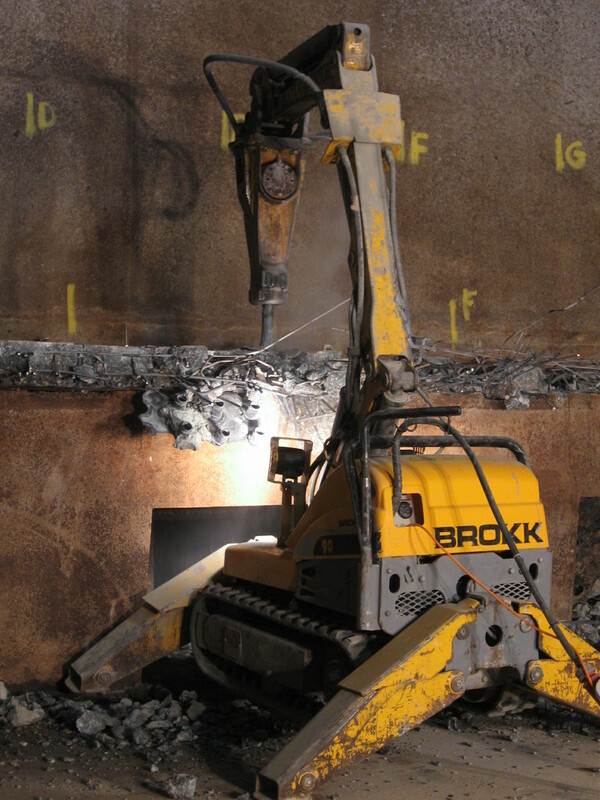 Limited access and the need to maintain adjacent BAFF cells in service called for the use of a robotic demolition unit to break up the floor slab into small fragments, whilst keeping vibration levels to a minimum. All debris was then removed via existing 600mm diameter manways on electrically powered conveyor belts.